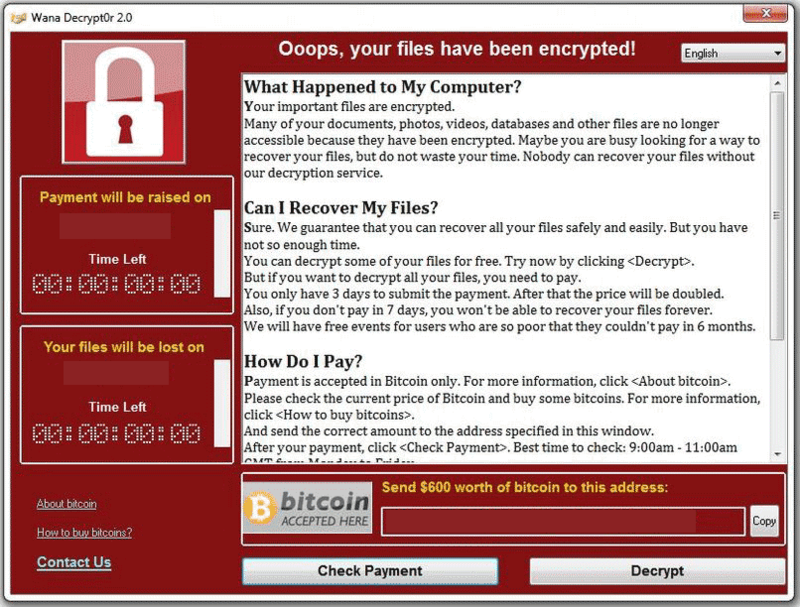 A massive ransomware outbreak spreading the new version of Wana Decrypt0r 2.0, also known as WannaCry ransomware has been recently halted by a malware researcher, called “MalwareTech”. The virus aims to encrypt the files on infected computers and add either the .WNCRY or .WCRY file extensions to them. After the encryption has completed, the ransomware begins to extort victims by dropping a ransom note where it demands around 300 US dollars to be paid to get the files back. Read this article in order to learn how to remove the Wana Decrypt0r virus and restore your files in the event that they have been encrypted by this ransomware. Wana Decrypt0r 2.0 Ransomware – What Does It Do? Other activity of the Wana Decrypt0r 2.0 threat is to stop MySQL and other Windows Processes. But this happens only after it has gained Administrative access. Wana Decrypt0r 2.0 – How Does It Infect? 3)	Hold CTRL+F keys and type Wana Decrypt0r 2.0 or the file name of the malicious executable of the virus which is usually located in %AppData%, %Temp%, %Local%, %Roaming% or %SystemDrive%. For Windows 7: Open the Start Menu and in the search type and type regedit –> Open it. –> Hold CTRL + F buttons –> Type Wana Decrypt0r 2.0 Virus in the search field. Win 8/10 users: Start Button –> Choose Run –> type regedit –> Hit Enter -> Press CTRL + F buttons. Type Wana Decrypt0r 2.0 in the search field. Recover files encrypted by the Wana Decrypt0r 2.0 Ransomware.